Choosing a Christmas tree is one of the most important events of the holiday season, and even more so when it comes to an artificial Christmas tree. These are made to be used year after year, but they are typically purchased online with only photos, descriptions, and testimonials as a guide, so it’s especially important to be sure that you are buying a high quality tree. At Balsam Hill, we are exceptionally confident in our unparalleled quality, exquisite realism, and excellent customer service. Balsam Hill Christmas trees are known for unrivaled quality and realism. Founded in 1976, Tree Classics boasts over 30 years of experience in artificial Christmas tree manufacturing. Their design, merchandising, and production of pre-lit artificial Christmas trees and related holiday décor makes them a leader in the industry, and they have a large customer base to prove it. Balsam Hill, on the other hand, is more of a specialty boutique. We are not just known for top quality and realism, but also for our ability to take our products to a superior level that is simply unmatched by our competitors. We deliver more than just a great tree – we provide customers with the best products and service on the market. 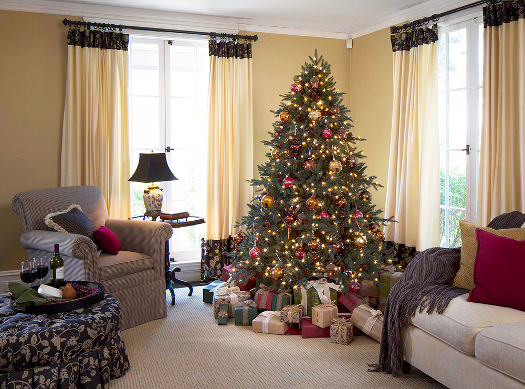 Balsam Hill boasts a wide collection of signature Christmas trees that are consistently unrivaled among competitors. These trees are exquisitely designed with pure elegance and unmatched quality, constantly incorporating new features to ensure the ultimate in convenience and style. Stunning realism and impeccable detail mirror the verdant look and feel of a live Christmas tree. Our exclusive and innovative True Needle™ technology perfectly duplicates natural evergreen species for a gorgeous, true-to-life texture, silhouette, and coloring. 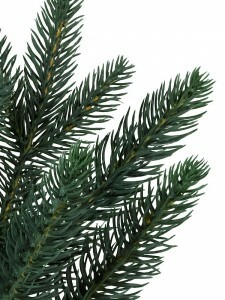 Tree Classics produces good quality, realistic trees, but they do not meet the same high standards as Balsam Hill trees. Tree Classics is more traditional and informal in style, and doesn’t offer as many innovative easy set-up features or design options. While Tree Classics’ trees are designed to look real, they do not feature the same level of superior quality materials or attention to detail, resulting in a somewhat less authentic look and feel. Balsam Hill provides explicitly detailed and thorough guides for assembling, shaping, and storing all of our artificial Christmas trees. In addition, we provide online video resources that demonstrate exactly how to perform all of these tasks. This makes it quick and convenient to set up and care for our product, which adds to our customers’ overall enjoyable experience. The exquisite quality of our trees also adds to ease in assembly, as each year they maintain all the functionality and beauty of the year before. In terms of assembly and care, Tree Classics provides only assembly instructions. They offer no additional instructions for shaping and storage. While their trees are relatively easy to manage, customers are not given the same attention and information to guide their efforts. We believe that Tree Classics is an excellent company, but they are different from Balsam Hill in many ways, as we have discussed. Balsam Hill’s designs are innovative and distinct, while remaining true to nature in look and feel. Tree Classics is traditional and practical, and they offer good quality and design. We hope that this article will aid you in deciding which choice best fits your needs and desires. Above all, we know that whatever tree you choose will help make your holidays special and wonderful, and we send our best wishes for a merry Christmas and happy New Year! Mac founded Balsam Hill in 2006 after discovering his brother-in-law was allergic to real Christmas trees. He enjoys travelling the world in search of inspiration for new tree designs, and to hand-pick the finest home décor to share with his customers. Mac was honored on the Silicon Valley Business Journal's prestigious "40 under 40" list, and was selected as a finalist for the Ernst & Young Entrepreneur of the Year 2015 Award. I have not dealt with Tree Classics, but my experience with Balsam Hill has been repulsive. Their customer service and “company policies’ are the WORST. For a supposed “High-End” product I expect high-end service. I received a defective tree – entire top section DOES NOT LIGHT – and after HOURS on the phone with customer service, all they offered was to accept the return of my broken tree, which I would have to pay the shipping fees for, and then I could place a new order for another tree (hopefully not broken) and with holiday shipping delays it would arrive in about a week and a half. Save your family the heartache and shop somewhere else!